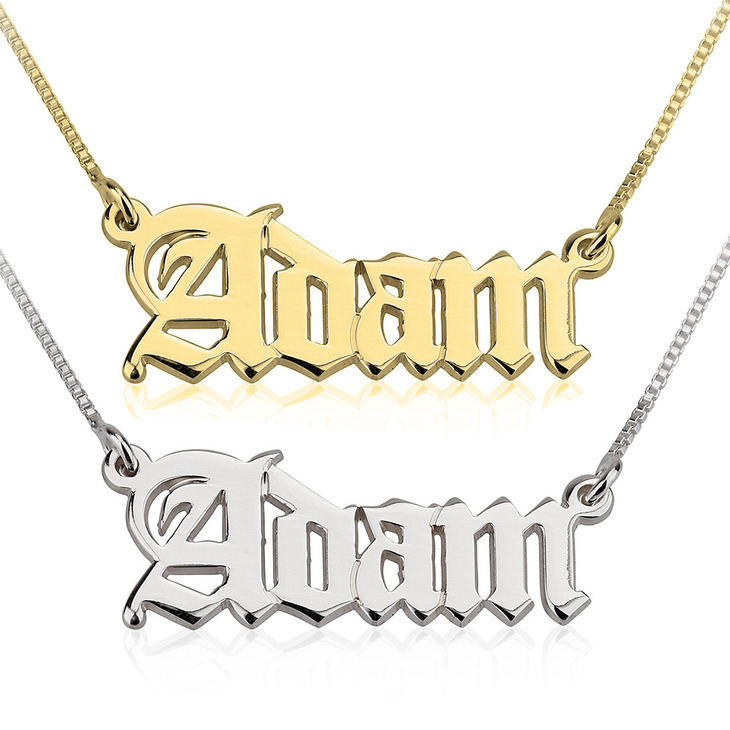 Express your true personality with an Old English Name Necklace of your very own. 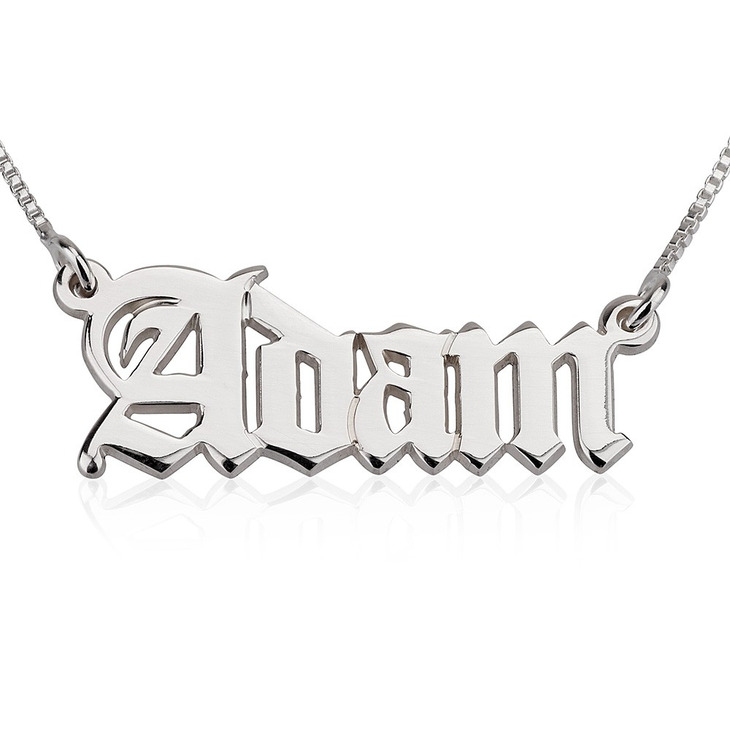 Crafted from the finest quality sterling silver, we will create a personalized design with any name or word in this edgy and fashion-forward font. Whether you prefer to layer this stunning name necklace with other dainty pieces or wear alone for a chic customized statement. 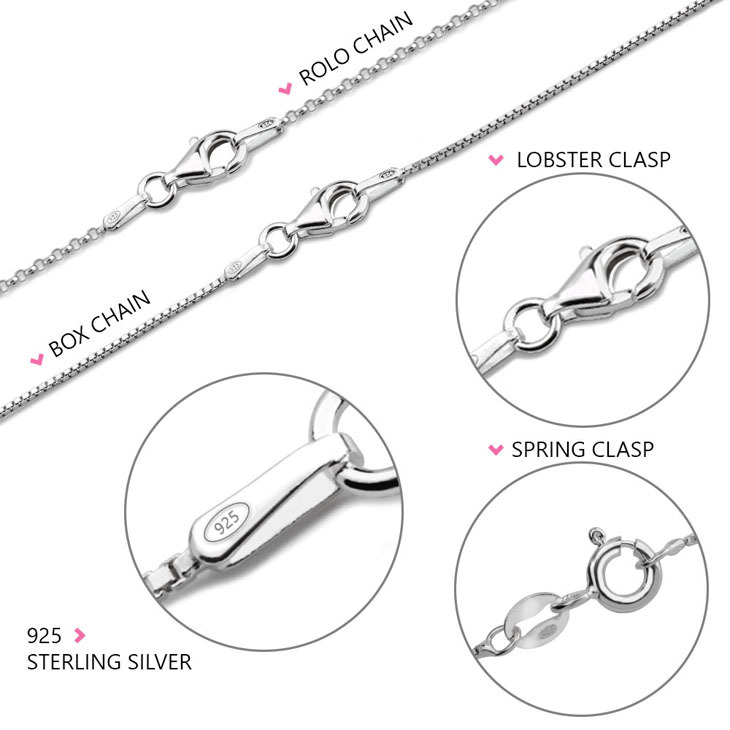 Also available in 24K gold and rose gold plating. Order yours today! I loved the necklace they were just right. livraison rapide, très satisfaite du collier, bonne qualité !!!!! I absolutely love this necklace it's a must buy!! Just want to let you know that the Name Necklace that I received is beautiful. I order the gold one, and it's very shinny, received many compliments. Thank You. I just received the Necklace the other day, and it's Beautiful and Shiny and I've been wearing it, I just wish it came in a size 15, Thank You. My boyfriend got me a necklace with his name on it and it's so nice! His name is long so I was worried the necklace was going to be huge but it's the perfect size and I'm so happy! I ordered this with my daughters name and it is more beautiful than I imagined! I get compliments all the time. It sits perfectly on my neck and good quality! worth every penny. I really love this necklace/font. The shipping was extremely fast too for it being custom made. The quality is beautiful. I'd like to apologize for this inconvenience, and help resolve this issue as soon as possible. 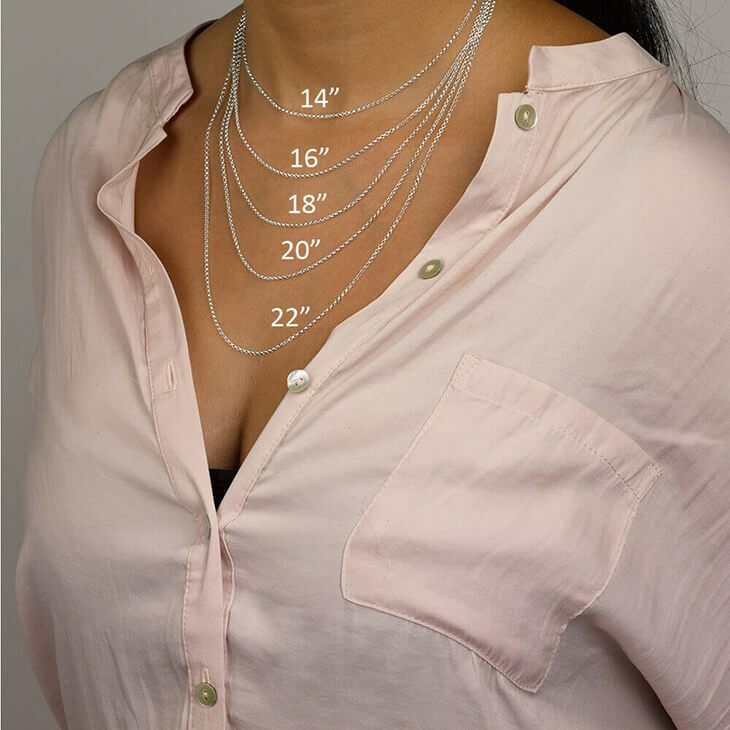 It's extremely important to us that you're fully happy with your order, and we can definitely either reimburse you for this or replace this necklace for the one you ordered. I've been in contact with you regarding this, and I hope we can resolve this right away. Very cute & small & Instagram worthy. It's a must have! I love my new necklace. It came fast in the mail and I could tell they were packed with care. I haven't took it off since I got it!!! Definitely ordering more jewelry in the future! Over the last two years I have order about 7 necklaces from this site. Tali and her team are wonderful. Always fixing any issues right away and always providing you with detail answers to any of your questions. I know there are many site where you can purchase name plate necklaces but none like onecklace.com. They are truly outstanding. Looked all over the web and luckily found this site; product was delightful, petite and perfect for layering - gift was sincerely appreciated and got it amazingly quick considering it is made when ordered and shipped from outside the U.S. Would recommend highly.